Your donations allow us to fund more projects – AKA more poetry – at the League! 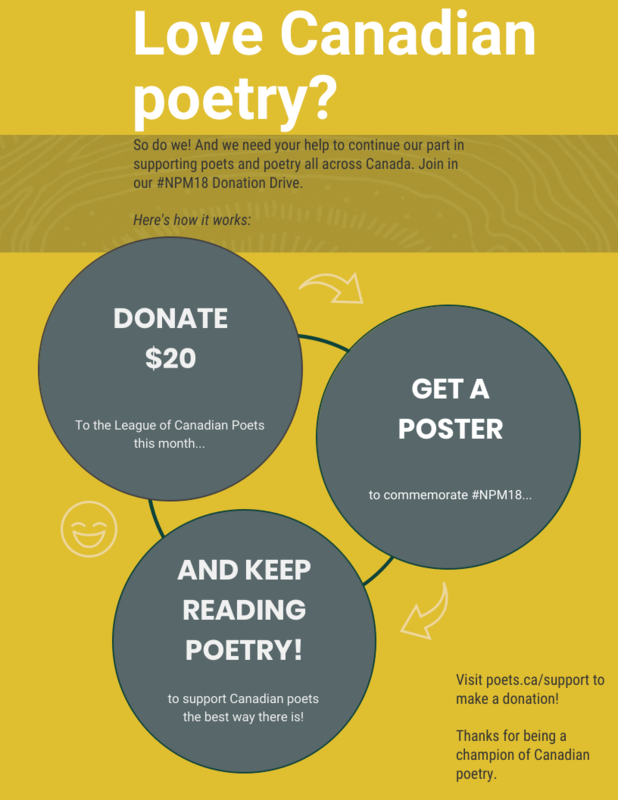 For a donation of $20 any time during the month of April, we’ll mail you a 2018 National Poetry Month Poster, designed by Megan Fildes. We are so thankful for the support we receive from arts organizations, poetry lovers, and poets alike.